If you're a new entrant to the financial planning sector, the FNS50615 Diploma of Financial Planning is an ideal qualification to commence work as an Assistant Financial Planner or Para Planner on your journey to achieving a role as a Financial Adviser/Financial Planner. The Diploma of Financial Planning also provides individuals a succinct pathway to a future undergraduate or postgraduate qualification in Business or Financial Planning. With Mentor Education's Diploma of Financial Planning nationally recognised qualification, you have confidence in the fact that you will be equipped with the skills and knowledge gained from a credible industry-endorsed program that employs best practice assessment standards, helping you graduate at the leading edge of your chosen field. FASEA has now released its final Education Pathways Policy (FPS001). There are no prerequisites for enrolling in the Diploma of Financial Planning, however it is recommended that entrants have a strong grasp of literacy and numeracy, and undertake the first course of the Diploma (DFP 1) prior to commencing any of the subsequent courses (DFP 2-4). It is expected that students will spend 1800 hours in learning and related activities over 18 months. Students who have extensive industry experience will be expected to complete it in a shorter period. The Statement of Advice Skills Assessment is undertaken upon completion of DFP-1 through to DFP-4, and is made up of the following. If you're looking to transition into or advance your existing financial services career, this is an opportunity you can't afford to miss. If you enrol into the full Diploma of Financial Planning or Advanced Diploma of Financial Planning courses, the Career Pathway Program is FREE. Our courses are designed to provide skill-based learning outcomes. Assessment activities for the Diploma of Financial Planning include multiple-choice questions undertaken online or during workshop classes, short answer responses to assignments, practical case studies, development of a Statement of Advice and role-plays (work place simulation). Q: What's the average salary for a professional in this industry? In 2015, average salaries for a job in Financial Services ranged between $75,884 AUD and $94,422 (Source: SEEK). Employment for those in Financial Services (which includes planners and advisers) has been growing for the last 7 years and is expected to continue. Q: How is the Diploma Of Financial Planning accredited? As a Registered Training Organisation (RTO #21683), our Diploma Of Financial Planning is a nationally recognised qualification as listed on training.gov.au and within our official RTO 'scope'. 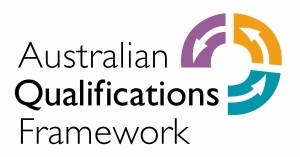 We're also listed on the ASIC training register (which, for your information, is 'under review' by ASIC for all course providers on 24 September 2012 - following recommendations from ASIC that planners should 'contact individual training providers directly'). Q: Why should I study with Mentor Education rather than another provider? Having been in operation since 2003 and trained over 20,000 students — we know what we're doing when it comes to delivering Diploma-level and Advaned Diploma-level qualifications in RG 146 and Financial Services. Our students often tell us they prefer the student learning experience with us because of our easily accessible phone and e-mail student support. We don't force you to study online (some providers unfortunately do). We don't force you to pay for student support (some providers unfortunately do). Q: What are some possible career outcomes for this course? Q: Will I be RG 146 compliant upon completion of this course? Upon successful completion and assuming you are deemed competent, you'll be RG 146 compliant to provide financial advice in Life Insurance, Superannuation, Managed Investments and Securities. Q: Are there further study options? Yes. Many students proceed to undertake our Advanced Diploma Of Financial Planning and even into undergraduate or postgraduate studies (We offer path-ways into the Masters Of Financial Planning at UNE and Griffith University). Q: I want a corporate job in Financial Services or at a bank. Can this help? Whilst our Diploma of Financial Planning is by no means a guarantee of a job (you should be wary of any institution that tries to promise that!) - many of our graduates do work for some of Australia's leading financial planning and financial services institutions. Q: I've previously completed studies (and/or work) in Finance and/or Financial Services. Will this count? In line with Recognition Of Prior Learning (RPL) standards, we take into account prior knowledge and/or skills you may have already gained through practical work experience, study or knowledge. Potentially, some of this can count towards your nationally recognised qualification. To find out whether your prior work experience or study is applicable, please enter your contact details on this page or call us. Q: I'm looking to get into the AMP Horizons program. Is this course recognised? Yes. We're currently listed on the official AMP Horizons website as a provider of the Diploma Of Financial Planning. We've also had a significant number of students successfully enter and complete the AMP Horizons program. Mentor Education specialises in providing professional education (at both the Diploma-level and Advanced Diploma-level) to you anywhere, any-time. We appreciate that learning needs differ for each individual and organisation, which is why we allow you to select the approach that works best for you. The Diploma of Financial Planning is fast becoming the default standard for students in the Financial Services industry. If you need the skills and knowledge to advise clients with broad and complex needs, this is the Diploma-level qualification course for you. ** Payment plans require six equal monthly payments via direct debit. Contact Mentor Education for further information.